The Village School Choral Performance at The Village Shops! 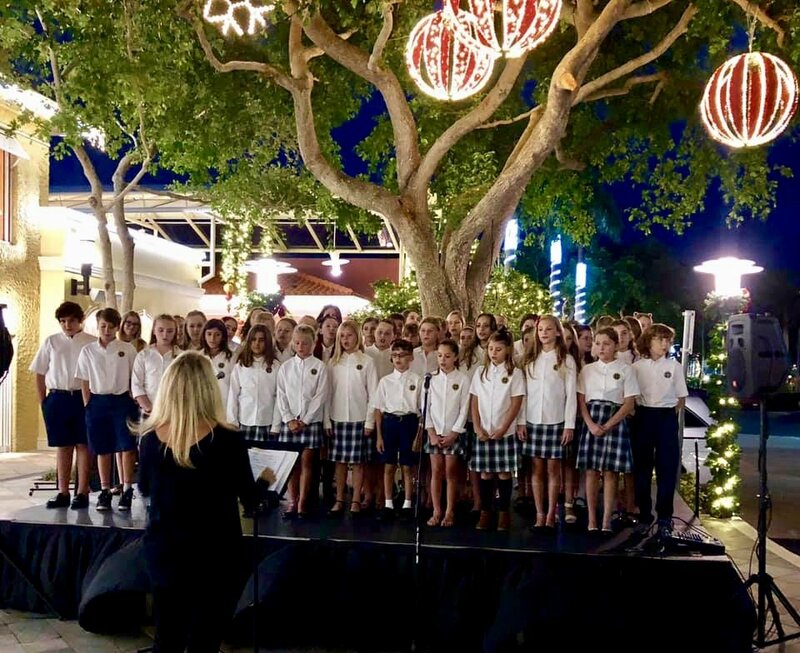 On December 10th, a cool Monday night, The Village School of Naples’ choir put on a special holiday performance for guests, family, and friends at The Village Shops. The talented 5–8th grade students arrived dressed in uniform, showcasing their vocals by performing a number of well-known hymns. 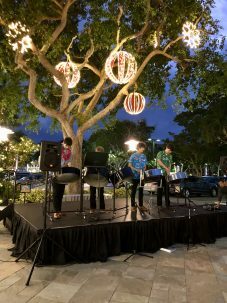 The evening began with four young men performing on the steel drums. 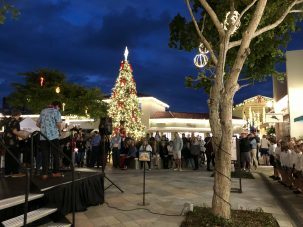 The acoustic sounds of the steel drums put a fun flare on Christmas carols. The audience kept their eyes and ears directed to the stage, watching as the men skillfully tapped the drum creating a unique version of each song. Soon after, the entire chorus took the stage in rows, following cues from The Village School Music Director. The choir sang “We Wish You A Merry Christmas”, “Mary, Did You Know?”, “It’s Beginning to Look A Lot Like Christmas”, and more! 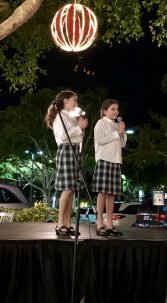 The group then broke into two duet performances and ended with a solo performance of “Hallelujah”. 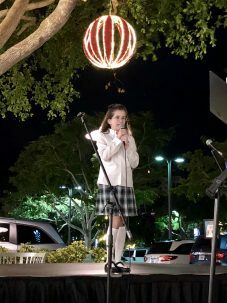 The Village School Choral Performance was a perfect December night with cooler weather, illumination from Naples’ tallest Christmas tree, surroundings of thousands of holiday lights, and The Village School community.